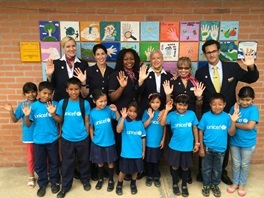 Since 1994, American Airlines has been the participating U.S. airline of UNICEF’s global Change for Good® program, an innovative partnership between UNICEF and the international airline industry. Established in 1987, it is one of UNICEF's best-known and longest-running partnerships, having raised more than $140 million globally to support UNICEF’s programs for children worldwide. More than 5,000 American Airlines employees known as "Champions for Children" volunteer to dedicate a portion of their time during their working hours to collect contributions of foreign and domestic currency from American's customers on select international flights (click here to see the in-flight video) worldwide to support Change for Good. 25% supports a UNICEF project that Champions for Children vote on annually – and visit to see the impact for children firsthand – including programs in Guatemala, Nicaragua, Haiti, Belize, Bolivia, Brazil, Chile, Colombia, the Dominican Republic, and Peru. Click here to read about the most recent field visit to Haiti. 25% is unrestricted funding that supports UNICEF programs that help children survive and thrive in any of the 150+ countries in which UNICEF works. 50% has supported HIV/AIDS programs through 2014 and has now expanded to include support to programs that improve children’s basic needs and overall quality of life in communities worldwide, including emergencies. When large-scale natural emergencies have occurred, funds have supported UNICEF’s relief efforts following the Hurricanes in the Carribbean, Ecuador Earthquake, Haiti earthquake, Philippines typhoon, Japan earthquake, Horn of Africa crisis, Sahel Africa crisis, Ebola outbreak, and Nepal earthquakes. Trick-or-Treat for UNICEF: Since 2009, American Airlines has participated in Trick-or-Treat for UNICEF through Change for Good with a variety of activities including the collection of donations from customers on international flights, collections at Admirals Club lounges in Halloween-themed boxes, and grassroots fundraisers by employees company-wide. AAdvantage Miles: Through March 2012, American offered AAdvantage miles at a reduced cost which the UNICEF USA leveraged through an annual holiday fundraising campaign, as well as occasional emergency fundraising, in which for every $1 donated, AAdvantage members received miles. Donated Miles through American Airlines’ “Kids in Need” Program: Since 2010, American Airlines has donated AAdvantage miles and other travel certificates to the UNICEF USA to cover the cost of staff travel, and auctions for UNICEF USA fundraising events, including sponsorship of the UNICEF Experience/Children First event in Dallas since 2012. 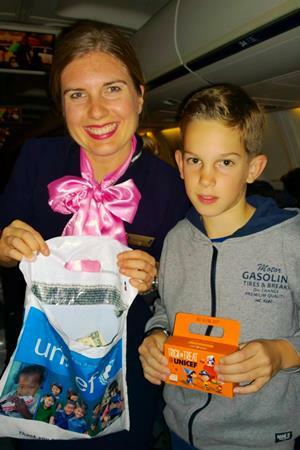 American Airlines AAdvantage members can donate their AAdvantage miles (1,000-mile minimum) to support American’s Kids in Need program which supports children’s charities including the UNICEF USA. 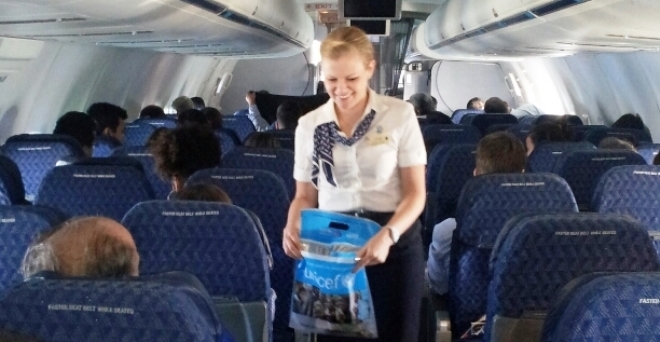 Thanks a Million+ American Airlines Employees and Customers for Supporting UNICEF!